The “greatest living rock star on the planet” announced he’d finished the forthcoming SWISH on Twitter this morning. Kanye West announced the tracklisting to his forthcoming album SWISH this morning, in his usual reserved style. SWISH has faced long delays, as it was originally scheduled for release in spring 2015, but that didn’t stop West announcing its full details in typically buoyant fashion. Despite claiming SWISH is “the best album of all time”, the jury should remain out until its February 11 release date after West claimed to be the “greatest living rock star on the planet” at Glastonbury last year, before infamously proceeding to crucify Bohemian Rhapsody. He announced the tracklist for SWISH in the tweet below. Many of the details of the album have been kept under wraps, but as expected the tracklist features the Ty Dolla $ign-starring Real Friends and Kendrick Lamar collaboration No More Parties In LA. Other track names include the as yet unheard Waves, High Lights, 30 Hours and FML. Noticeable omissions include FACTS – a track he made with young Atlantan producers Metro Boomin and Southside, known for their work with Future – which West on Soundcloud on New Year’s Eve. SWISH also won’t feature the Rihanna/Paul McCartney collab FourFiveSeconds or Brit Awards 2015 talking point All Day. 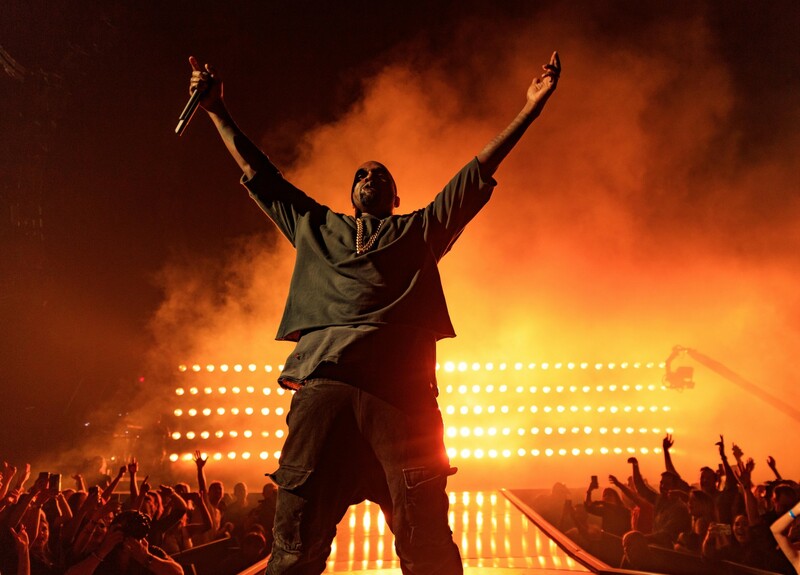 SWISH will however feature Fade, which was premiered at the Yeezy Season 2 fashion show last year, as well as Wolves, which West performed on Saturday Night Live. The list of people West has reportedly been working with on SWISH alongside Lamar and Ty Dolla $ign includes Rihanna, Paul McCartney, Travis Scott, Sia, Allan Kingdom, Vic Mensa and Post Malone. The “Kylie was here” scrawled at the bottom of the page seems to suggest that Kylie Jenner, Kim Kardashian’s sister, will also feature on the album.